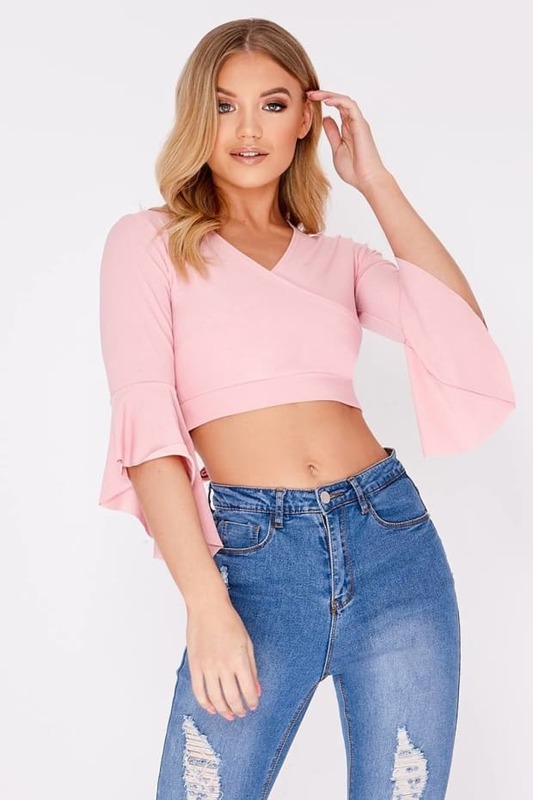 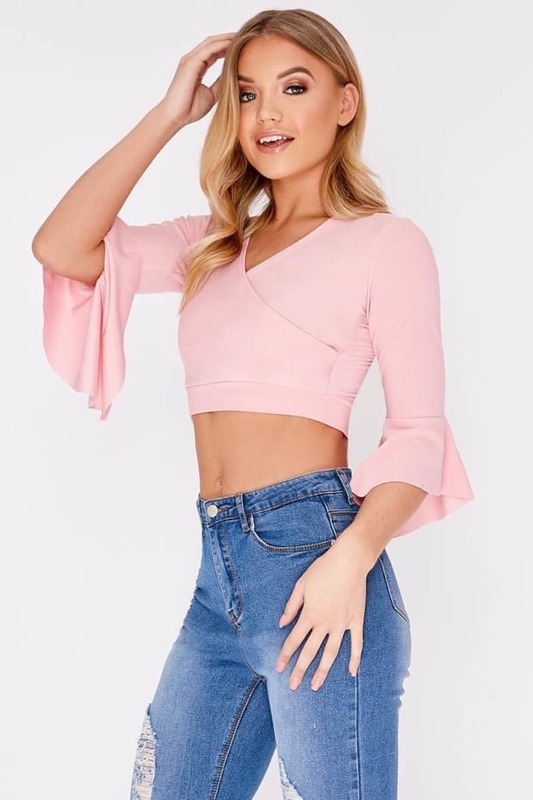 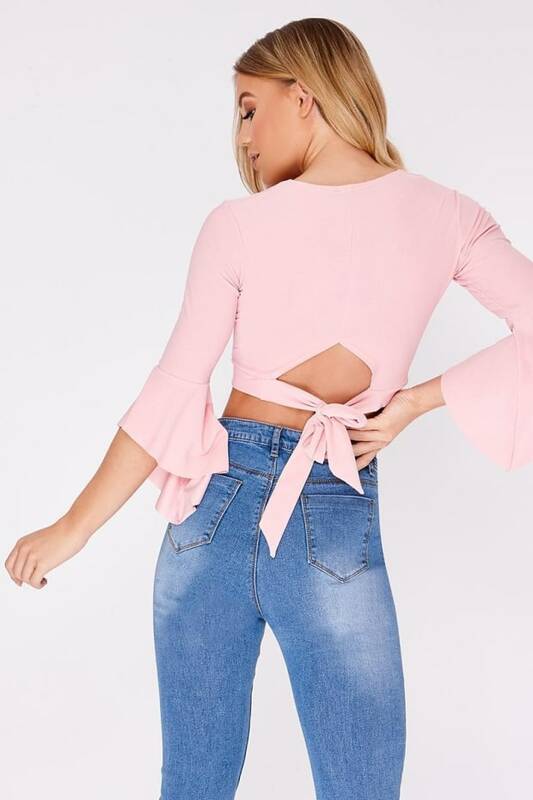 Look like a total babe and get this sassy crop top in your wardrobe RN! 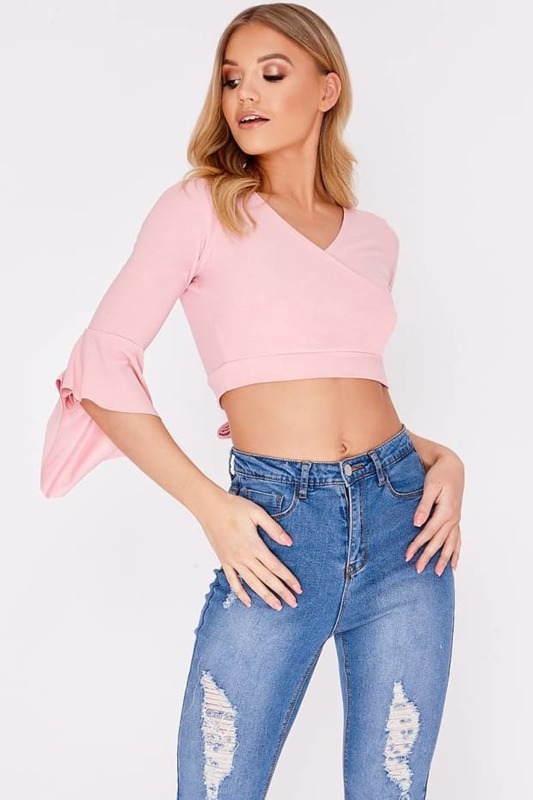 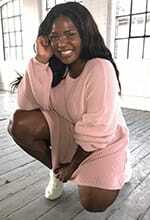 In a baby pink hue featuring long flare sleeves and wrap front, this top is all we can think about! 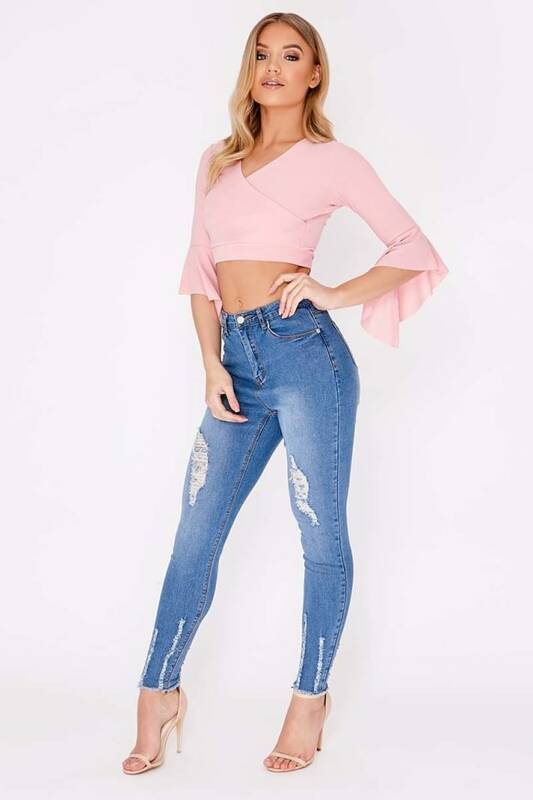 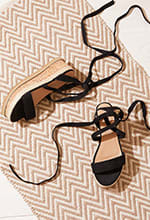 Team with jeans and heels for a bang on trend look.